Mobility data, data analysis, big data ? these terms are all rather abstract. 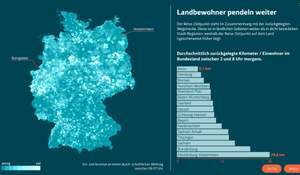 With ?So bewegt sich Deutschland? 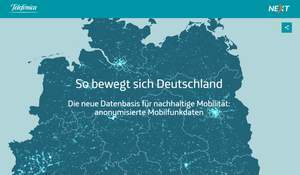 (How Germany moves), Telefónica NEXT has created an interactive map using anonymized mobile data to visualize nationwide traffic flows. The aim is to introduce and highlight the benefits of a new data class for sustainable mobility and transport planning in Germany. It provides regional insights on topics such as commuter behaviour and morning departure times for Hamburg, Berlin and Munich. 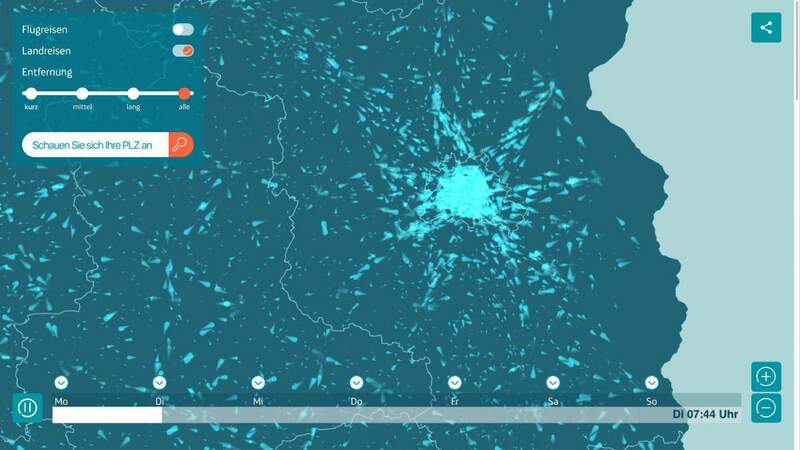 The information is highly relevant for cities, transport companies and service providers because the data show origin-destination-relations for all transport modes and. Thereby, the data help mobility providers to create and improve services based on real customer needs. 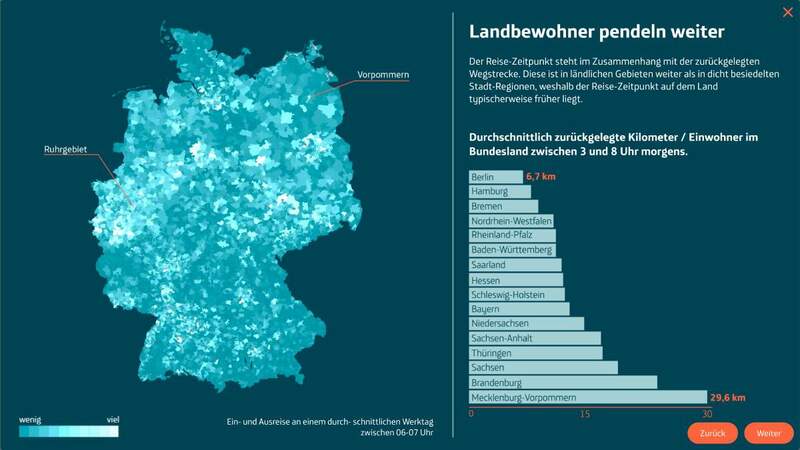 Users can interact with the map on the website by zooming in on regions of their choice, assessing the two integrated deep dives for a "Day in Germany", e.g. by clicking on Berlin, or by viewing the carnival deep dive by clicking on Cologne. 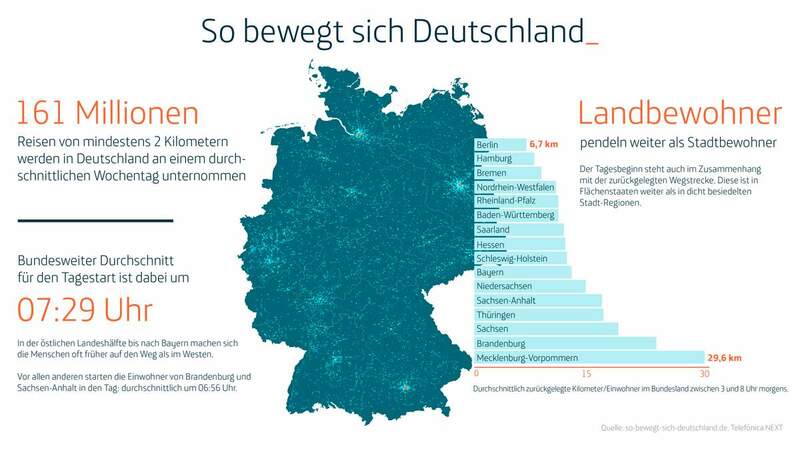 They can also enter a German ZIP-code and get a shareable graphic of inbound and outbound traffic in the area over the day, including the average morning peak time. In Telefónica Germany?s normal operations, mobile network data are generated by over 45 million mobile lines. This happens as mobile phones communicate with cells when surfing the internet or making calls. Telefónica Deutschland anonymizes the around five billion data points per day using a three-level TÜV-certified process so that they cannot be assigned to individuals. The launch of the dataviz website in January 2018 received significant media attention. The project was recognized with a German Online Communications Award in Gold in the Transport & Logistics category.